The new line of credit is in addition to the $431 million worth of financing the bank has given to gun companies since 2012, according to Bloomberg News. The line of credit indicates Wells Fargo is not backing down from its assertion in a letter to an activist group demanding they break off business with gun companies that the bank does "not believe that the American public wants banks to decide which legal products consumers can and cannot buy." The bank said it continues to advocate that any changes to what legal products gun companies can manufacture or sell should come through the legislative process instead of the financial industry. 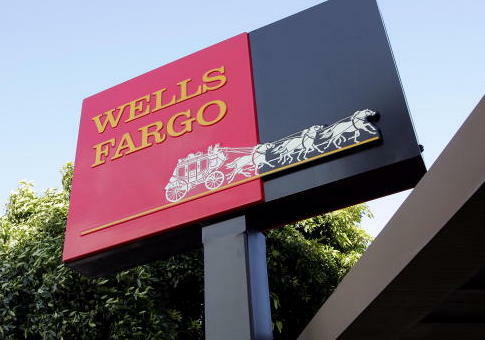 "Wells Fargo wants schools and communities to be safe from gun violence, but changes to laws and regulations should be determined through a legislative process that gives the American public an opportunity to participate and not be arbitrarily set by a bank," Trisha Schultz, a Wells Fargo spokesperson, told the Washington Free Beacon. Wells Fargo's approach runs counter to that of some other financial institutions that have fully embraced using their business to pressure gun companies into implementing certain gun-control measures. Bank of America said in April they would no longer do business with companies that manufacture so-called military-style firearms without elaborating on what that term means to the bank. "We want to contribute in any way we can to reduce these mass shootings," Anne Finucane told Bloomberg TV. "We do have a few manufacturers of military-style firearms. We're in discussions with them. We have let them know that we are going to—it's not our intent to underwrite or finance military-style firearms on a go-forward basis." Citibank announced in March it would no longer do business with companies that sell firearms to adults under 21-years-old or sell "high-capacity" magazines but did not elaborate on what that term meant to the bank. "Today, our CEO announced Citi is instituting a new U.S. Commercial Firearms Policy," the company said on its site on March 22. "It is not centered on an ideological mission to rid the world of firearms. That is not what we seek. There are millions of Americans who use firearms for recreational and other legitimate purposes, and we respect their Constitutional right to do so. But we want to do our part as a company to prevent firearms from getting into the wrong hands. So our new policy centers around current firearms sales best practices that will guide those we do business with as a firm." Wells Fargo said it still has concerns about "the gun safety issue" and encouraged Congress to "develop sensible gun laws" to fix the problem but didn’t elaborate on what gun laws the company wants to see. "We strongly encourage Congress to listen to the voices of the American people and earnestly debate the gun safety issue in order to develop sensible gun laws and other solutions that help protect our schools and communities," Schultz told the Free Beacon. This entry was posted in Issues and tagged Financial Industry, Guns. Bookmark the permalink.